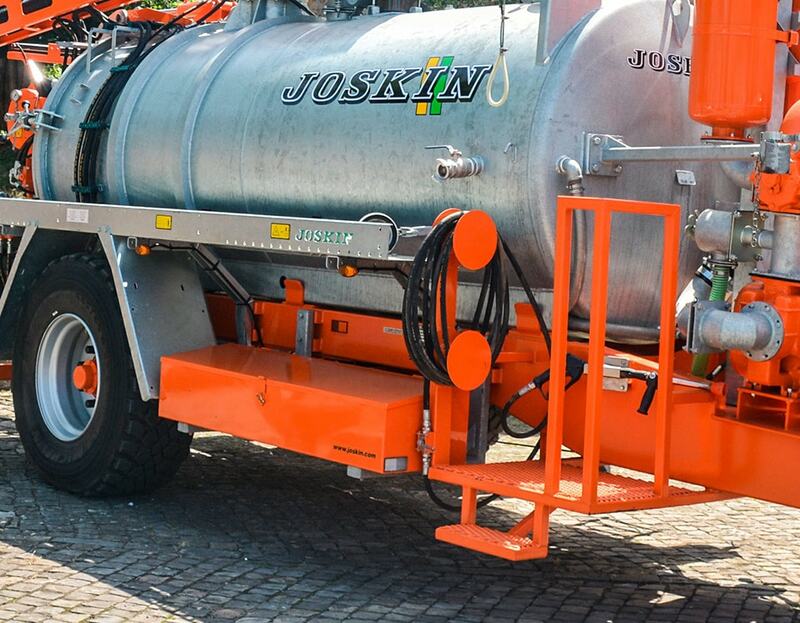 The JOSKIN hydrocleaners are designed to clean gullies and sewers or to carry out any other types of works, like sucking waste. They are fitted with a balanced suction pipe, which makes it easier to use, with at its end a water-jet hose under pressure in order to stir foreign bodies so that they can be sucked. Its injection depth is max. 1,500 mm (standard). 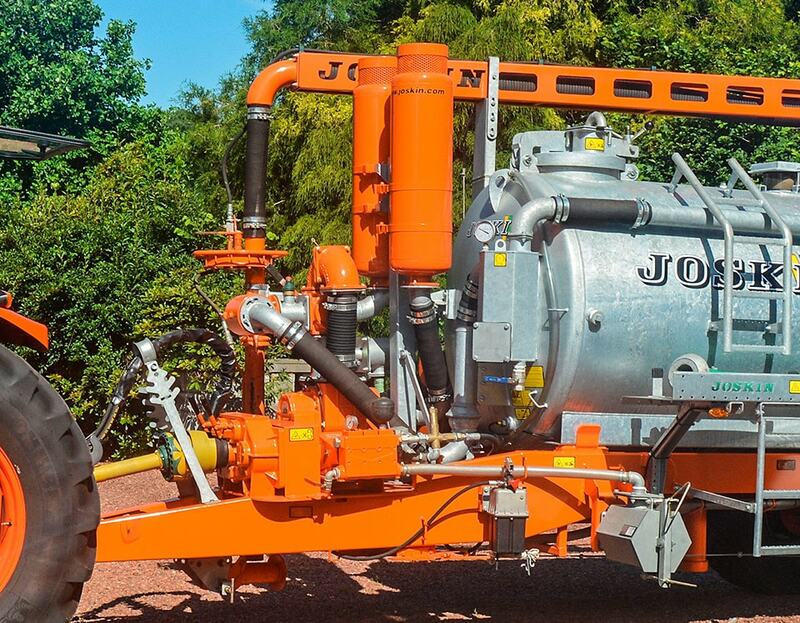 The JOSKIN hydrocleaners are standard fitted with a pump system including a JUROP DL 120 (12,000l/min) vacuum pump with silencer and air cooling, as well as a high pressure pump (120l/min - 120bar) protected by a water filter. Other vacuum pumps are available in option, like the water cooled LC 420, the Samson V12 water ring pump or different types of PN, LC and DL pumps. 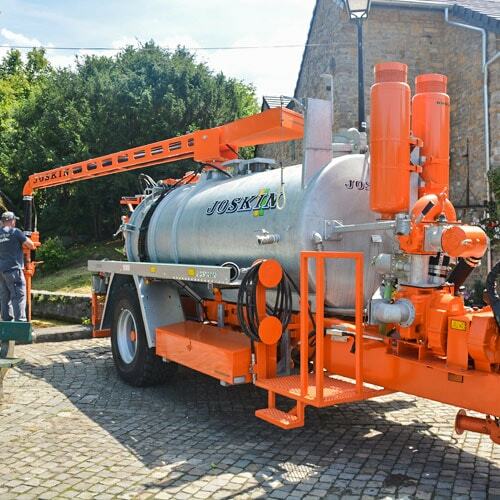 The hydrocleaners are standard fitted with a Ø 4" manual dorsal boom with water injection. Hydraulic joints for the dorsal boom and a joystick control are available in option. 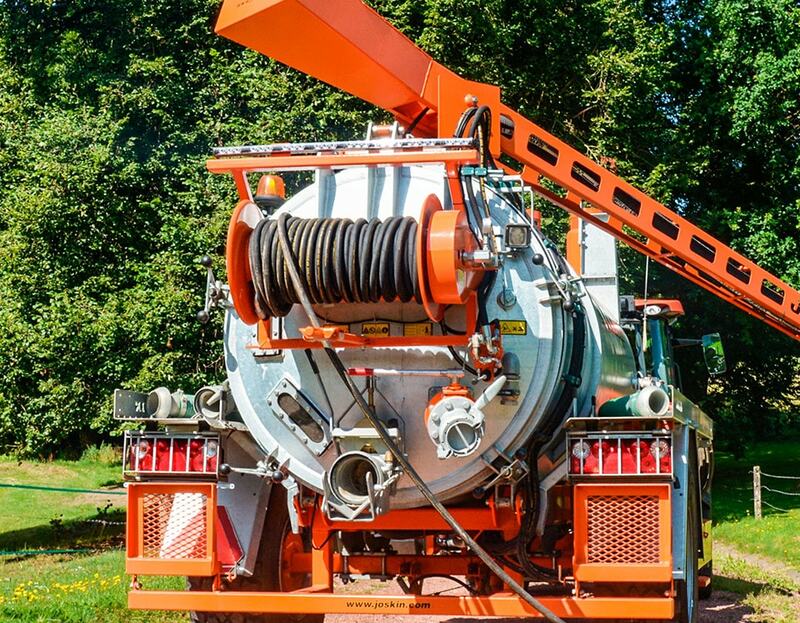 The hydraulic tipping of the mud tank allows to easily remove foreign bodies. Unlike models of 6,000l, which are tipped with one ram, the models of 8,400l and 12,500l are standard fitted with two rams. Manual or hydraulic (option) reel for the high-pressure pipes with roll, rat nozzle and pressure gauge. 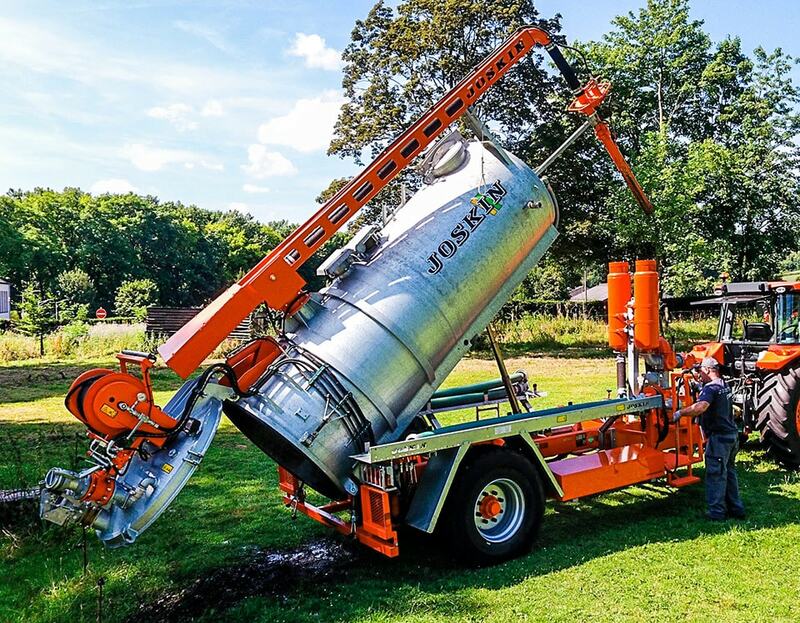 Several options are proposed to adapt the machine to its future works: hydraulic locks for the rear wall instead of manual ones, a gooseneck with a diameter of 100mm, a lighting bar with control box, a warning sound for the high pressure water level, red and white stripes on the rear wall (sticker), etc.